Imagine a giant indoor City where kids can be ‘adults’ for a day, take on real-life jobs to gain experience, have fun and even earn “money” to spend on real perks. Earlier this month, Weekender invited three lucky readers and their families to join our team for a fun-filled weekend at KidZania Singapore to experience all of that and more. Here’s a look at what our readers and their kids got up to that weekend. In an actual full-wing fuselage of a Boeing 737, kids donned prim uniforms and took on the roles of a cabin crew, and learnt how to serve passengers ‘flying’ with them. The passengers? The parents themselves, who had a ball tossing out some requests for the junior stewards and stewardesses to handle. After this task, kids also got to experience piloting either a Airbus A380 or a Boeing Dreamliner in the flight simulators – just in case they wanted a change in career. The children then attempted to knead dough at the Pizza Hut station, where the parents lent a hand (or two) in making pizza. This stop was particularly memorable for reader Yee Hai Waey, who appreciated that the adults “got to join in and have fun together with the kids”. They even got to enjoy the pizza after it was baked in the stove. After completing their pizza treat, the young ones were sent on a special mission. 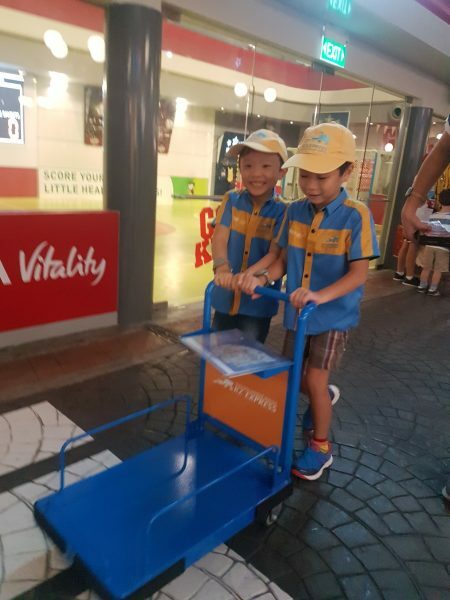 As couriers, they were tasked with retrieving parcels from two stops in KidZania Singapore. Completing the job on their own earned them kidZos, KidZania’s official currency, which they can spend on other activities, goods and services within the city. There are even ATMs, iKiosks and a bank where kids can access and manage their finances. 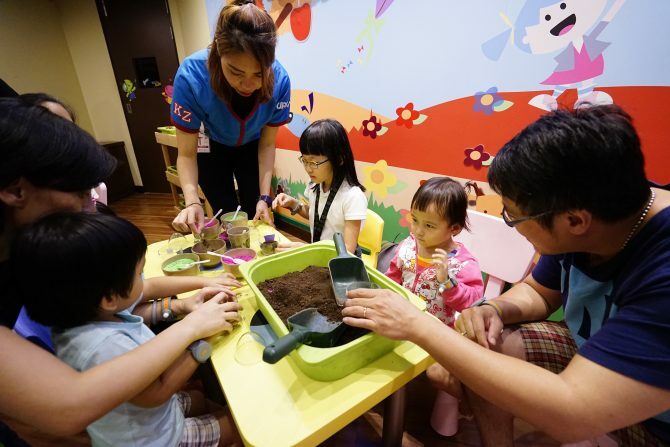 From 11-31 Mar, Kids for a Greener World will focus on using role-play and various activities to teach kids about the importance of water conservation. 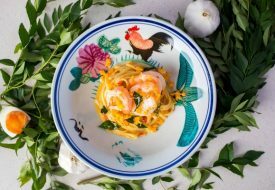 With this year’s theme of Aquatic Life, families can come together to participate in fun and educational activities at KidZania Singapore’s Main Square. Some of the activities include building a terrarium to learn about the natural water cycle, constructing a Mini Rain Garden to learn about water filtration and observing various marine animals through Virtual Reality. This April, come celebrate KidZania Singapore’s first birthday from 7 to 23 Apr. 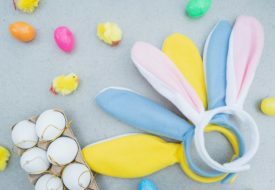 Guests can discover what it means to be a KidZanian as the City comes alive with a series of exciting events. Test your wits and embark on the KidZania Quest, where you can learn the culture and heritage of KidZania as you explore all corners of the City for answers to your question card. Don’t miss their birthday party on 9 Apr from 2:25 to 3:35pm — there’ll be cake cutting, goodie bags and more. What’s more, all kids will also enjoy 30 per cent off their walk-in tickets in April, giving everyone more reasons to celebrate as KidZania Singapore turns one! 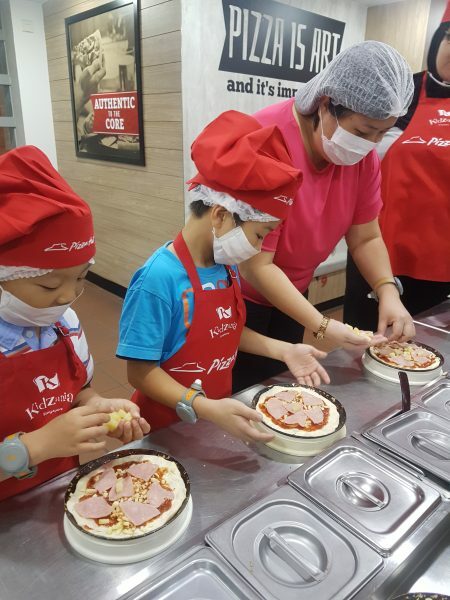 Want to bring your family to KidZania Singapore? 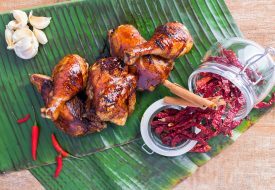 Weekender readers can enjoy a promotion on the loyalty programme, B.KidZanian, for an exclusive price of $18 (UP $22). 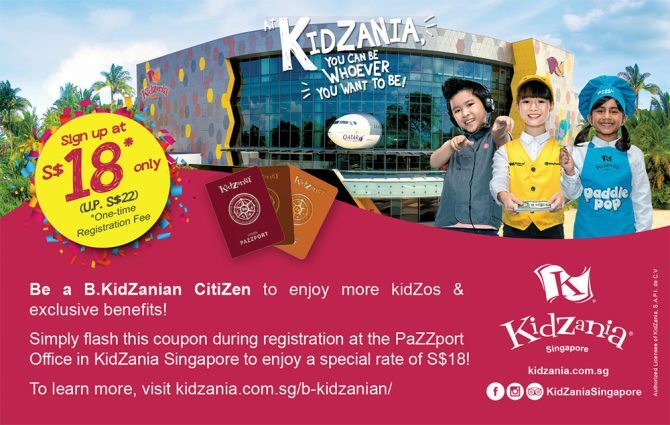 Look out for the KidZania voucher to be printed in Weekender Issue 175 (31 Mar), or our Facebook post on KidZania Singapore, and present it at the KidZania Singapore PaZZport office from 1 to 26 Apr. Under the B.KidZanian programme, members can enjoy exclusive invites and activities, and a higher earnings on their kidZos. The membership is available for all kids aged four to 17, and it can be used across 10 KidZania Cities, including in Singapore, Kuala Lumpur and Manila. More information on the program can be found at kidzania.com.sg/b-kidzanian. KidZania Singapore, #01-01/02, Palawan Kidz City, 31 Beach View, Sentosa. Brought to you by KidZania Singapore.